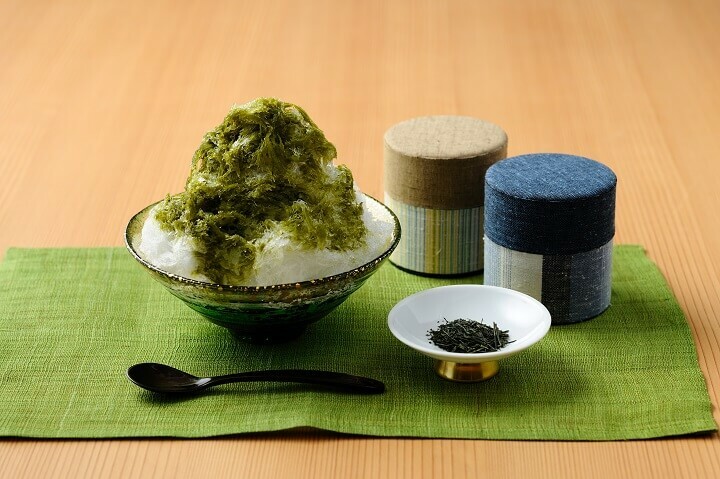 At KAI Enshu, situated in Shizuoka Prefecture, the tea capital of Japan, you can find fluffy shaved ice crushed in a hand-turned machine and topped with a syrup made from KAI Enshu’s original “Souka” green tea blend which uses Shizuoka-grown “Koshun” tea leaves as a base. The plantation in the courtyard is lit up, and guests can enjoy their shaved ice in this magical atmosphere. Highly nutritious tomatoes from Kumamoto Prefecture, the largest producer of tomatoes in Japan, are farmed both in the highest and lowest areas in order to take advantage of seasonal temperature differences and produce a year-round harvest. At KAI Aso, they are served in an original shaved ice dessert for your tasting. 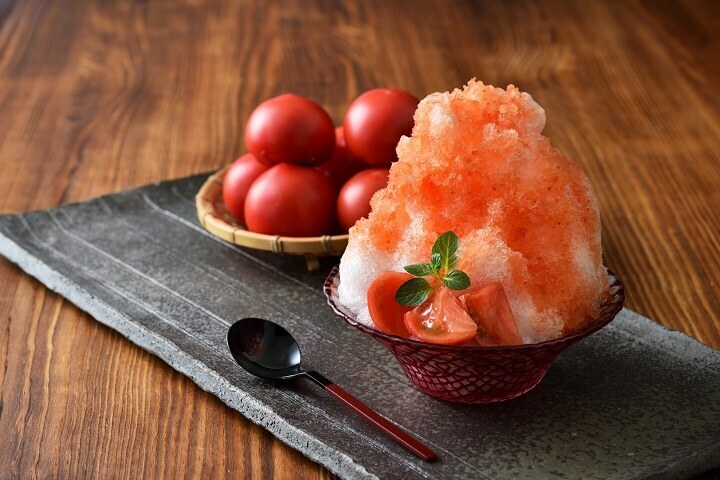 KAI Kaga will once again this year offer its big hit “Koorimuro shaved ice” desssert. 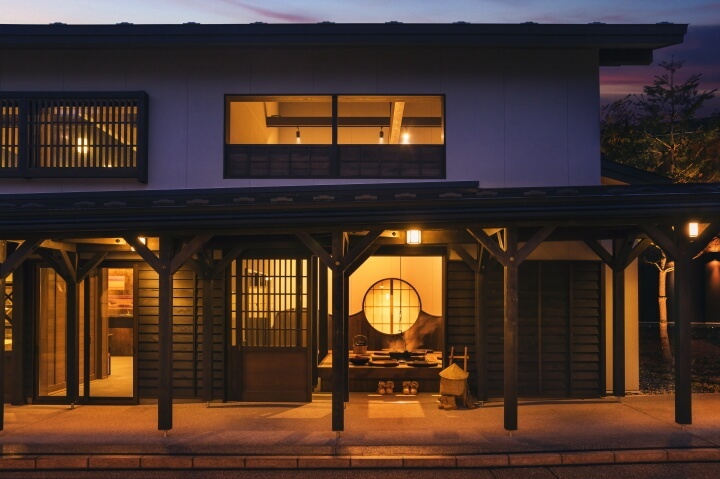 In Kaga, three-colored sake manju—steamed sweet bean cakes—are called “koorimuro manju”, literally meaning “Ice Room buns”, as they were historically eaten on a hot summer day when the shogun would have cold ice that was stored from winter in the “ice room”. 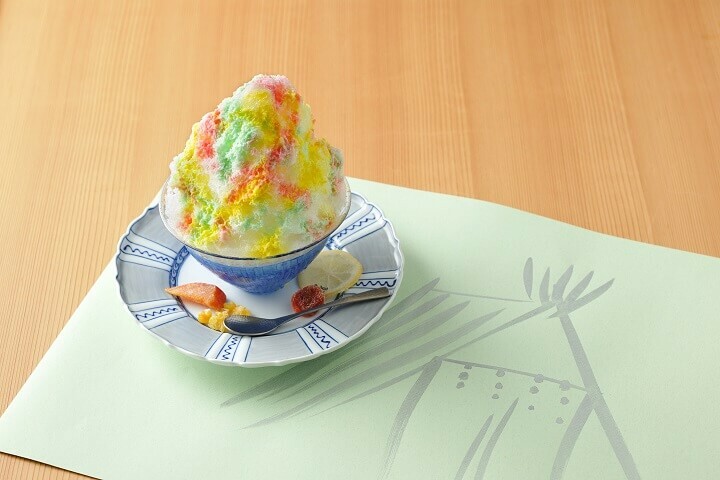 They are loved as an auspicious confectionery, and at KAI Kaga guests can enjoy a vivid, three-colored shaved ice based on these traditional sweets, made with a sake lees syrup that uses local Kaga sake. 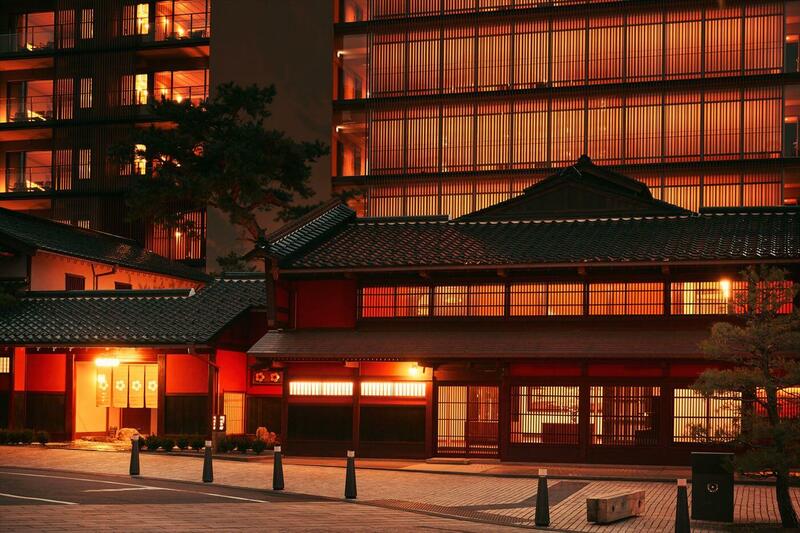 Atami is known as the place where the first blossoming of the Japanese plums can be enjoyed and honors this plum as its official town flower. 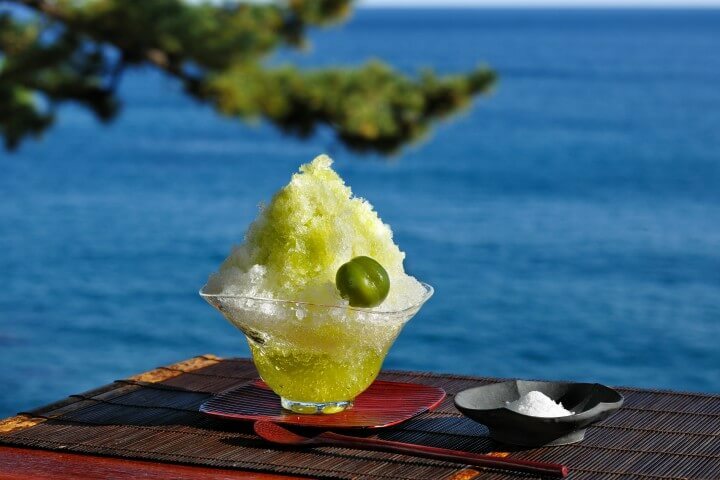 This KAI Atami special shaved ice is also flavored with salt to reflect the sea stretching out beyond the horizon. In addition to these four locations, there are 10 other KAI ryokans participating in the shaved ice summer event. You can access more details about every location’s special shaved ice in our official press release. 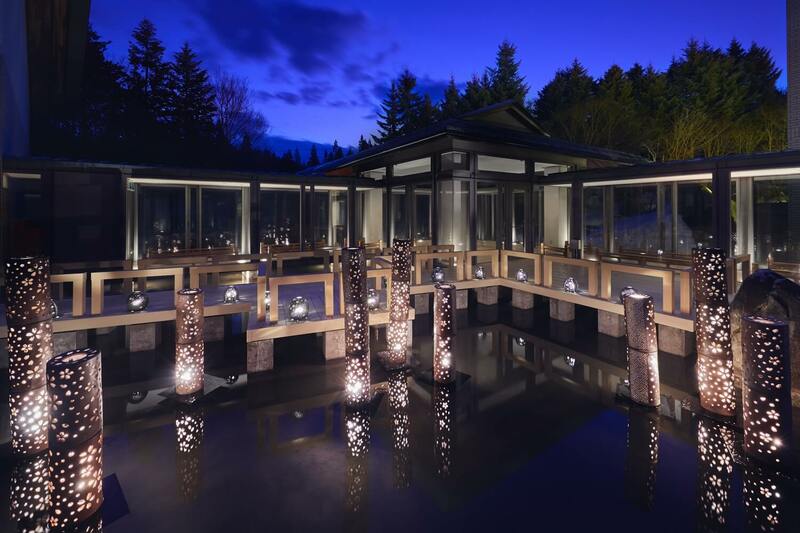 Hoshino Resorts KAI brand ryokans focus on the traditional onsen, or Japanese hot spring, and kaiseki dining experience, offering guests a blissful, relaxing, and authentically Japanese experience. 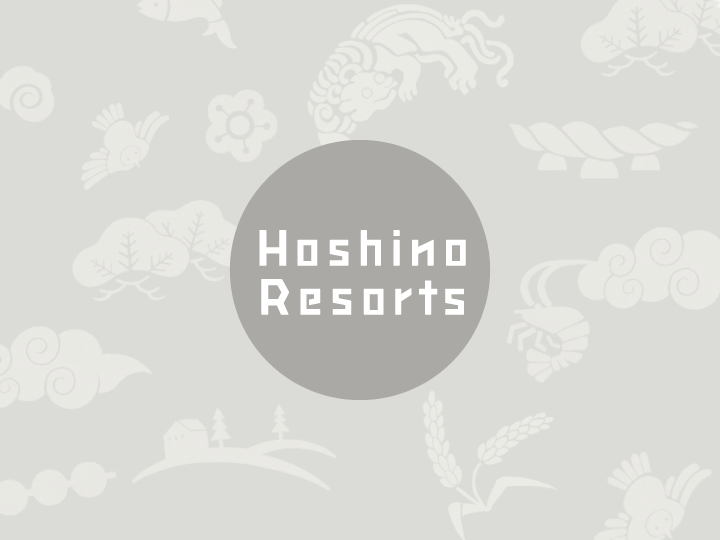 There are 15 KAI ryokans currently operating under Hoshino Resorts. For more information on the KAI brand, please visit the website.